Coach Sloan has been talking about integrating Korver as more of an option within the Jazz option and that’s exactly what has occurred. 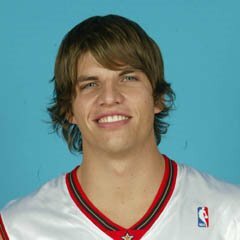 Korver put a ridiculous line of 17 pts [6-7 FG, 1-1 3PT, 4-4 FT], 4 reb, 4 asst, 2 stl in only 21 minutes of play last night. Although I’d like him to get more minutes, I still think he’s a viable option for a fantasy manager looking for points, threes and above average percentages. I bet you didn’t think you’d hear Alien’s name come up this early in his tenure with the Celtics, but with Allen banged up and the Celtics looking for veteran leadership, Cassell has fit right in with Boston the last couple of games. Last night against the Spurs he went for 17 points and 5 rebounds on 7-13 shooting from the field. If I was a betting man (ok, I actually am), I’d put money on Cassell finishing off the season with decent fantasy numbers. I love Korver’s potential to help in the 3 pt category down the stretch but just wish he would consistently see 25 minutes a night. He’s definately a guy to keep an eye on however. Yeah it’s funny because Coach Sloan seems to like him a lot and really wants to see him get more shots, but at the end of the day his minutes fluctuate so much. Here’s to hoping they go up! Prediction #1: CorrectKobe: 29/2/7Dirk: 31/11/1So Kobe didn’t dominate Dirk, but the Lakers did take down the Mavericks in their own house.